Goodyear Eagle F1 Asymmetric 3 is coming out as a replacement for the Eagle F1 Asymmetric 2. It has improved performance and offers an even more comfortable ride. The tyre has been tested by the DEKRA testing organization, whose testing showed that the tyre is more wear-resistant than its main competitors. I had the asymmetric 2's on the car which provided 30000km no problem, never even had a puncture so I went with this tyre based on the previous performance. If these give me back the same as the first I will be buying them again. 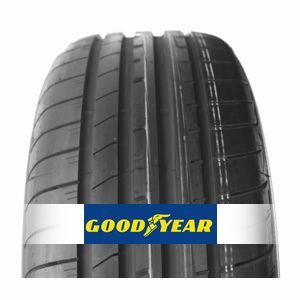 To review the Goodyear Eagle F1 Asymmetric 3, you first have to log-in by clicking here.